Building customer relations takes time and effort and cannot be rushed. Losing the trust of your customers can happen with just one ill-timed comment. Even when you think you are doing your best to be helpful, what you say — and how you say it — can mean the difference between continuing a relationship and ending one. Anything you say to a customer can be used against you, so it is imperative to be well prepared and collected when dealing with any customer, especially those who may be upset. While you can't be prepared for every situation, certain comments that seem innocent to you can be perceived by your customers as patronizing, insulting or even rude. Prepare yourself with this informative workshop. 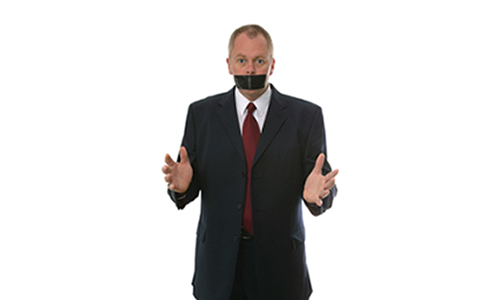 What NOT to Say to Customers is a one-hour program that will teach you the seven things NEVER to say to your customers. Stop losing customers and start turning negative situations into positive ones with this one-hour customer relationship management training. Purchase this can't-miss webinar today to learn tips, tricks and techniques to defuse potentially explosive situations with your customers. This webinar is designed for people who face customers regularly including retail salespeople, sales professionals, servers, housekeepers, bartenders or any other job with a focus on customer service.